The folks responsible for Talisman are working to bring Sora and all your Disney friends from the screen to the board. It may seem like an unusually collaboration but it’s smart to tie a popular IP with an already proven game. It’s possible the game may feel too long and over-bearing for gamers trying to bridge that gap between video games and table top. Talisman: Kingdom Hearts arrives sometime in late 2019. We can only hope the game is as good as its title is long. It’s quite a mouthful. Harry Potter: Hogwarts Battle - Defence Against the Dark Arts is the second game in the Hogwarts Battle series. But unlike the deck-building structure chosen for the first game, Defence takes a different approach. In a 2-player duel of the arts, players test their wands and spells against one another. The game looks like it borrows from the popular BattleCON: Devestation of Indines. Like the original Hogwarts Battle, they will probably condense the experience and make it more casual friendly. Harry Potter: Hogwarts Battle - Defence Against the Dark Arts is expected in the Fall of 2019. The highly anticipated second set of Keyforge is almost here. For most CCGs it takes a few sets to really see how long its legs will be. We’ve long seen games struggle to keep their bases happy, whether due to supply shortages or over-saturation. It’s a tricky thing to get exactly right, while maintaining the quality and heart of the game. Age of Ascension adds more than double the cards of the original set, and while it doesn’t add any new mechanics or factions it does promise to maintain balance among both sets. 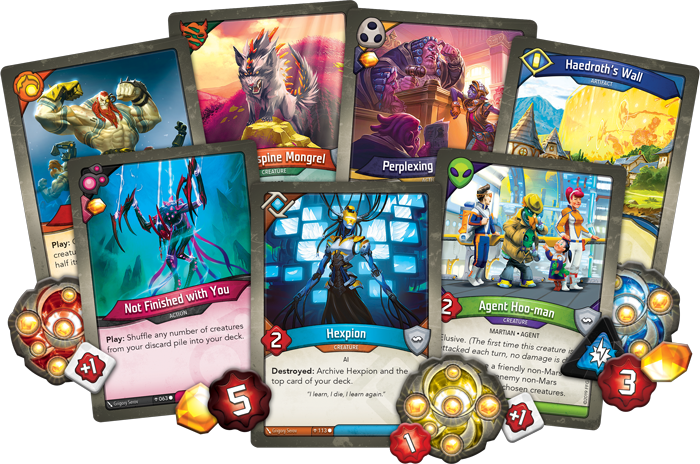 If you missed out on the Call of the Archons now may the best time to jump into the Keyforge universe. Keyforge: Age of Ascension arrives in Q2 2019. We have officially reached Hollywood status. And just like the DC Extended Universe we are getting a reboot of a popular, but kind of underwhelming title in the tabletop world. TIME Stories was a memorable title that did a lot of interesting things, and contributed to the genre of cooperative games. But it was also very hit or miss with its expansions and one of the poorest value propositions. I’m hopeful that TIME Stories Revolution: A Midsummer Night can be the boost the IP needs to revive itself. The first among a new series of games being called the “blue cycle”, A Midsummer Night does not require a base-game and all games of this cycle will be standalone titles. Let’s hope the designers have listened to the fans and improve upon a highly potent formula. 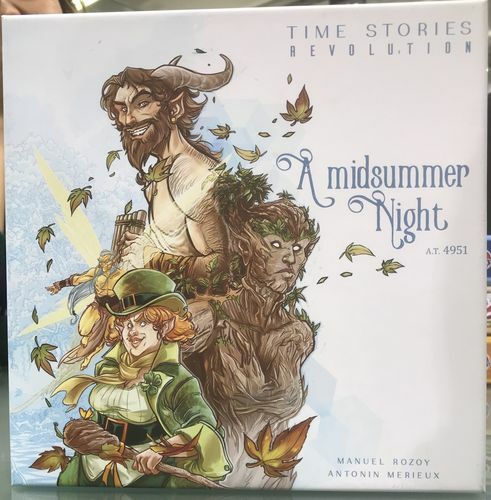 TIME Stories Revolution: A Midsummer Night is due out in Q1 2019. For a game that looks surprisingly small, there is a whole lot of game in High Rise. From the designer that brought us other heavy games like The Networks and Battle Merchants, Gil Hova’s latest Kickstarter project High Rise has players fight over land to build giant skyscrapers. One of the tracks of the game actually tracks player’s corruption level. Greed and ambition are two things that players will have to carefully balance. For a game that only lasts 3 rounds, it sports a 150 minute playtime (or a 100-minutes, 2 round tutorial). High Rise is not for the faint of heart.